I love beetroot! There’s so many different seeds you could try! 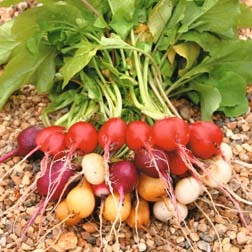 Direct sow beetroot seeds outdoors from March to July in a weed free, sunny position in fertile, light, well drained soil. Sow beetroot seeds thinly in shallow drills at a depth of 3cm (1″) and 30cm (12″) apart. Germination will usually take 12 to 24 days. When large enough to handle, thin out the seedlings within each row to 10cm (4″) apart. When growing beetroot, water as necessary to prevent the soil from drying out and keep the plants cool and moist. This will help to avoid plants running to seed. Roots can be lifted at any time from June to October once they have reached 1″ diameter or more. Harvest any remaining crops before the first frosts. 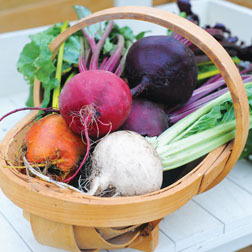 Beetroot can be stored until mid spring in boxes of moist sand in a frost free shed or garage. Not too late to order. Potato days going on around the country right now if you don’t want to order online. I think I’m ready to brave the weather and go and fill some containers with compost. 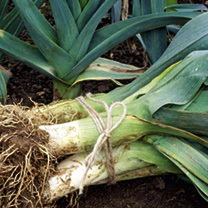 I am going to do a large pot of leeks and split them up and also start some in modules. 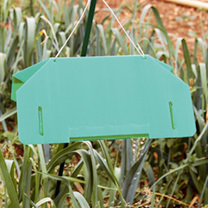 I’ve been looking at this leek moth trap kit on Suttons. 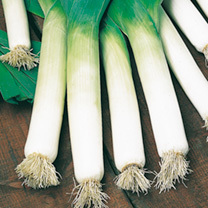 Could be useful if you suffer from leek moth. Refill for the leek moth trap – Leek Moths lay their eggs near the base of the plants and the resulting maggots quickly burrow into the foliage. This trap uses the scent of the female moth to attract and catch the male moths (set up in early April to trap the first generation, and in early July to trap the second generation). Leek Moths lay their eggs near the base of the plants and the resulting maggots quickly burrow into the foliage. This trap uses the scent of the female moth to attract and catch the male moths (set up in early April to trap the first generation, and in early July to trap the second generation). Pack contains: 1 trap and hanger, 2 sticky bases and 2 pheremone lures. Leeks are massively greedy feeders, so if your leeks have not done well then the chances are you just haven’t fed them enough. Continuing to feed the soil with manure applications is part of the solution but you’ll also need plant food scattered on. Chicken manure pellets are good. My dad used to recommend watering them in too on some plants. 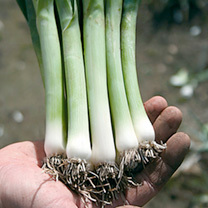 Leeks are a fantastic crop> They do stand a long time on the plot, but are well worth growing. We sowed some at the community garden in the polytunnel on Saturday. A really interesting article on the BBC about the history of onions and how much is used per capita around the world today. Salford Black runner beans get a mention on this story on the Manchester evening news site about Ordsall Hall being part of a seed saving project. They’re acting as ‘seed guardians’, who extract and preserve seeds from vegetables grown at the side of the Tudor manor house. She said: “These vegetables have not been seen apart from in gardens that are private but here at Ordsall Hall we are allowing people the chance to come and see them. 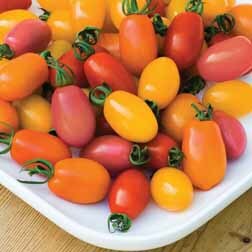 “The Yellow Pear tomato dates back to 1633. It came from south America in the 1600s. And the Salford Black runner bean and Duke of Albany Pea are from the 1800s. A list of UK potato days! brilliant list of potato days around the UK. They’re starting to add in this years *The ones in green! Not many yet but there should be loads again! Make sure you get along to one! They’re a brilliant place to go and buy your seed potatoes. If you find out there’s one near you not listed then contact them! Winter Duo Pack (January-March) – Comprises of 46 plants (23 of each variety). Poulton F1 (a short-shafted variety which produces high quality leeks with high density and attractive dark colour) and Vitaton F1 (an ideal partner to Poulton, allowing a supply of leeks well into the late winter).When it comes to continuity of production we feel the following selection is an important step forward for the home market.You don’t have to have a large vegetable garden to grow your own. Even the smallest patio or balcony can accommodate a few containers that will give you a bumper crop of delicious fresh produce! 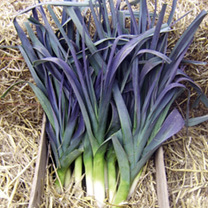 Early Winter Duo Pack (November-December) – Comprises of 46 plants (23 of each variety): Belton F1 (a long-shafted variety which produces uniform and easy-to-clean stems that hold well) and Poulton F1 (a short-shafted variety which produces high quality leeks with high density and attractive dark colour).When it comes to continuity of production we feel the following selection is an important step forward for the home market.You don’t have to have a large vegetable garden to grow your own. Even the smallest patio or balcony can accommodate a few containers that will give you a bumper crop of delicious fresh produce! Autumn Duo Pack (September-October) – Comprises of 46 plants (23 of each variety): Duration F1 (a quick-yielding late summer/early autumn variety) and Megaton F1 (a high-yielding hybrid that combines earliness with a long harvesting window thanks to its low risk of bolting).When it comes to continuity of production we feel the following selection is an important step forward for the home market.You don’t have to have a large vegetable garden to grow your own. Even the smallest patio or balcony can accommodate a few containers that will give you a bumper crop of delicious fresh produce! Goodbye successional sowing! 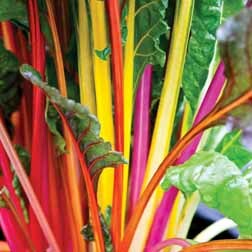 Just sow once and the mix of varieties mature successionally for a super-long harvest period! Harvest for up to 39 weeks! 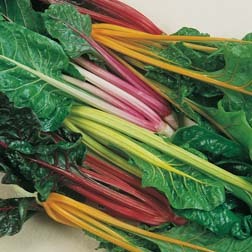 Excellent winter vegetable. Sow April-May. Harvest September-February. 6m seed tape. 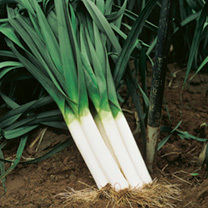 Watch a video of leeks being sown in root trainers. Might try this. Normally I do them in a tray and then pot them on. I imagine this allows them to have bigger roots. 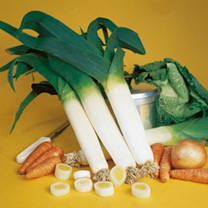 A pale green summer-cropping salad leek. Great flavour and uniformity. 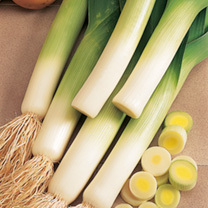 A top quality leek for a long season of production, giving high yields of flavoursome, medium-sized stems averaging 20-23cm (8-9) in length with little or no bulbing. It also stands extreme weather conditions remarkably well. A first class strain to eat and to exhibit. Thick, sturdy white stems. 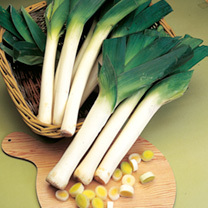 Superb autumn leek – harvest from September to January. Recommended. Long, thick, pure white stems of mild flavour. Excellent for exhibition if sown in January under glass. 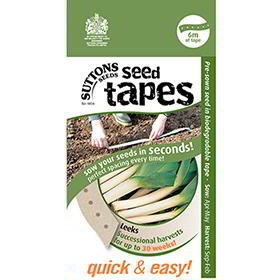 Part of the Sutton’s Seeds Vegetable Heritage Range Good length, tasty white stems. 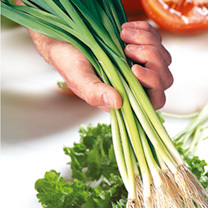 A milder flavour substitute for onions in many culinary dishes. 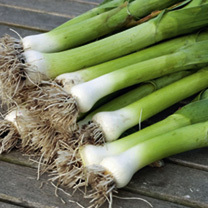 4 PACKS Thick, white, tasty stems Extremely winter hardy Traditionally popular variety 1919 packet details – Greatly improved stock of Musselburgh leek, far superior to the ordinary strain. Highly Commended, Royal Horticultural Society, 1918. Part of the Sutton’s Seeds Vegetable Heritage RangeGood length, tasty white stems. 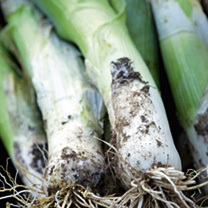 A milder flavour substitute for onions in many culinary dishes.Thick, white, tasty stemsExtremely winter hardyTraditionally popular variety1919 packet details – Greatly improved stock of Musselburgh leek, far superior to the ordinary strain. Highly Commended, Royal Horticultural Society, 1918. 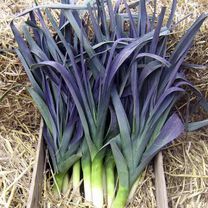 This British-bred leek is a real stunner in the winter veg garden, the leaves changing from blue-green to an eye-catching deep purple during the winter months. 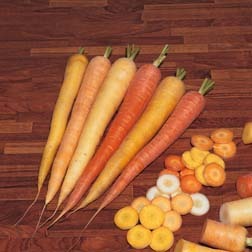 Stands well during cold weather – harvest from December until late spring. A dual-purpose leek, for baby or full-size harvest. Pulled young it makes a good milder alternative to spring onions. Salad type.